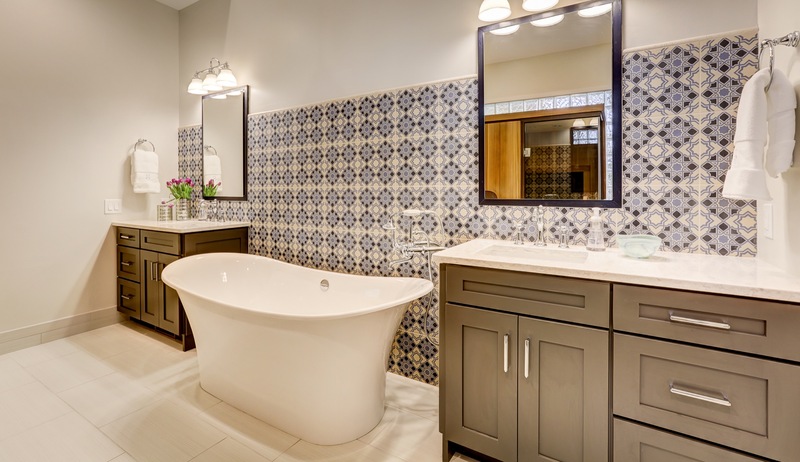 The client wished for a spa-like oasis, a clean design with style and personality. 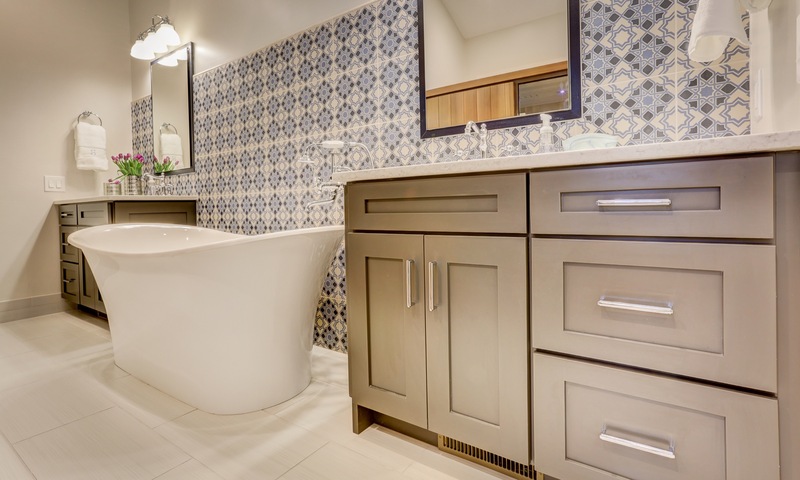 Together we chose a Moroccan influence, seen in the hand-dyed block tile and lantern light fixture. 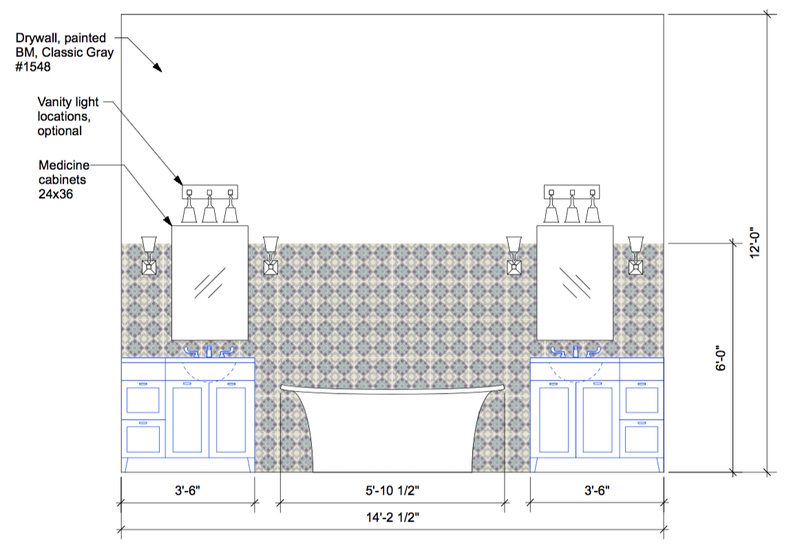 We completely changed the footprint of the existing bathroom, removing a closet, but adding more storage in the vanities and in-wall medicine cabinets. 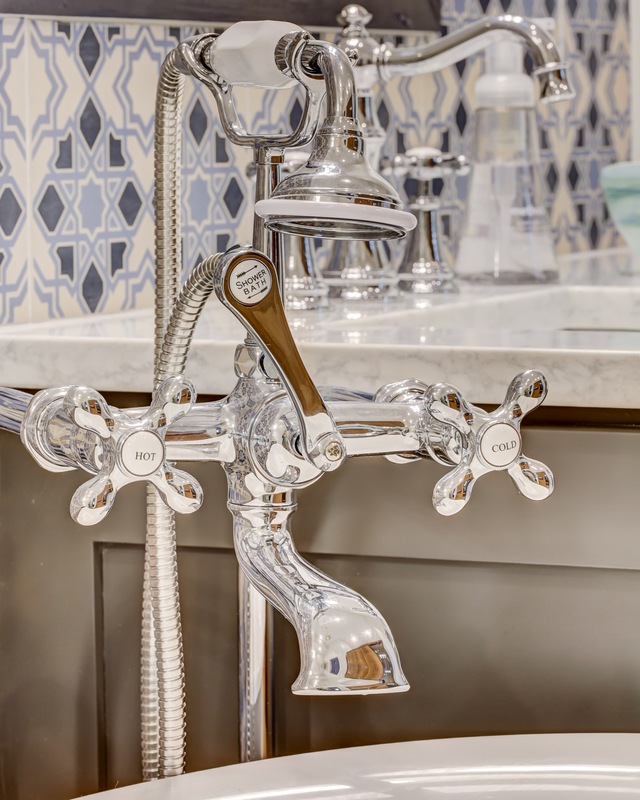 We updated plumbing fixtures with a classic chrome finish and multi-function showerheads. The client’s had previously purchased an infrared aromatherapy sauna, but it was residing in their master bedroom. 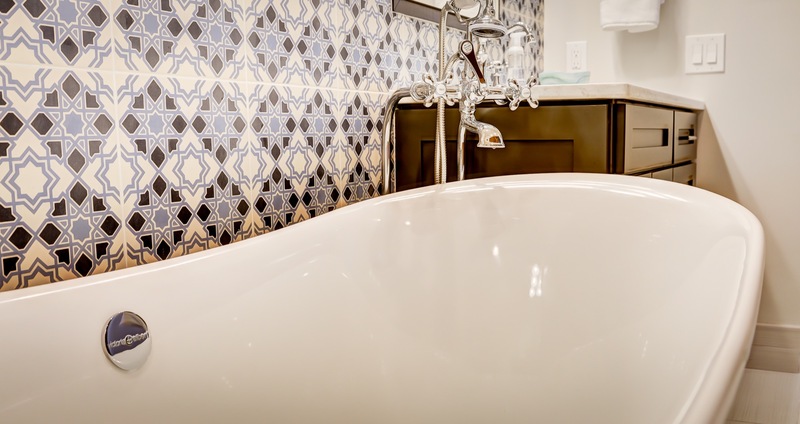 This was not a proper home for a large sauna, so we made room for it in the bathroom renovation by replacing an old, soaking tub. 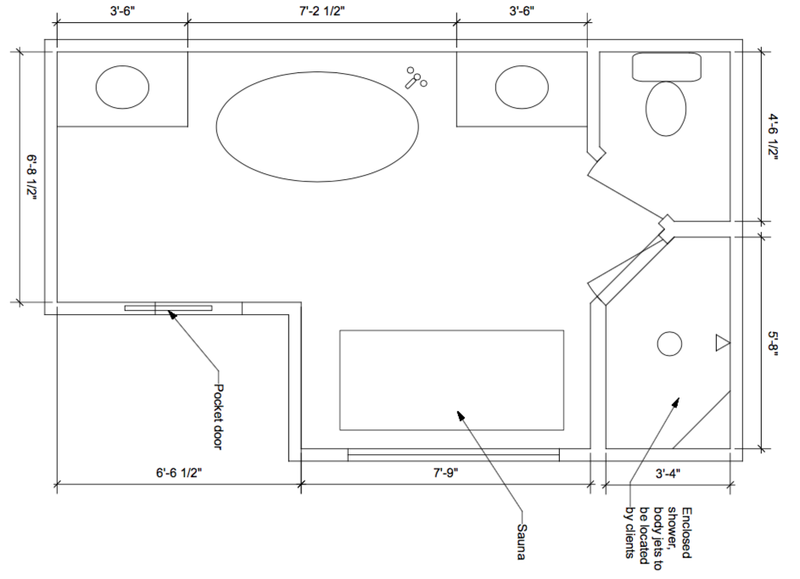 We also replaced her vanities with larger selections, and added a new, sleek soaking tub opposite the sauna. 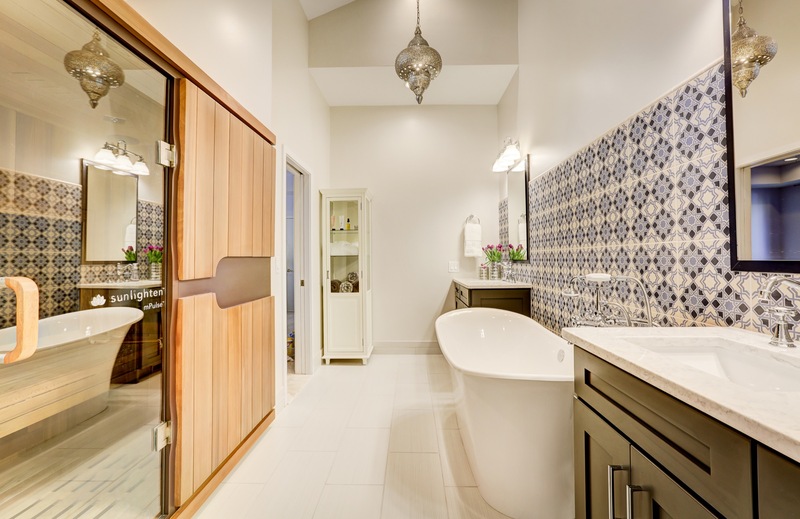 Together we chose a Moroccan influence, seen in the hand-dyed block tile and lantern light fixture.